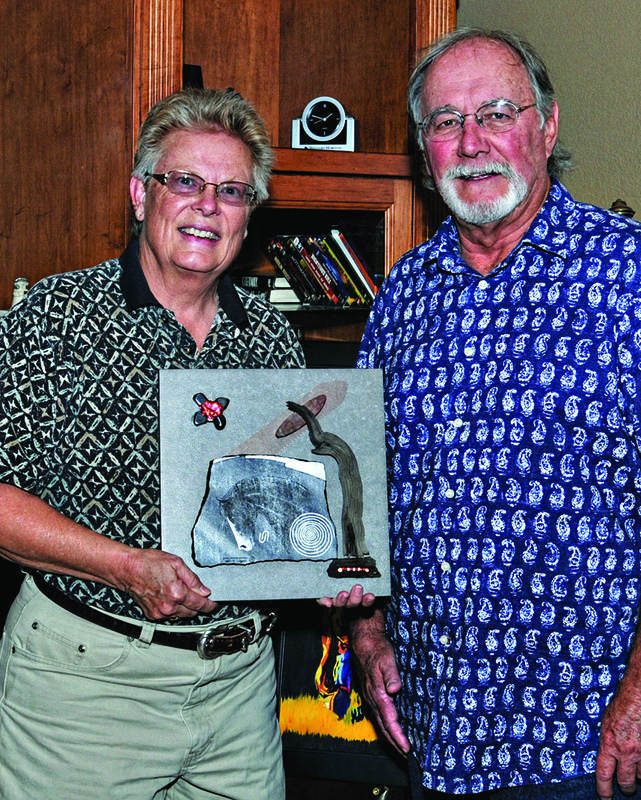 Charlene Rule, desert art, and Bob Spille, Arizona landscape painter, will display their work at the next Casa Grande Studio Tour. 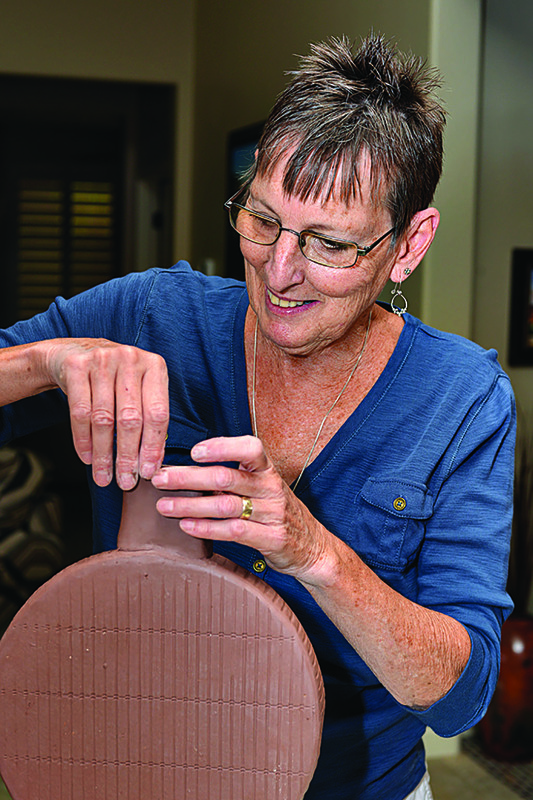 Robson resident Barb Beavers puts the finishing touches on one of her hand-built pottery pieces. Once again regional artists bring an unequaled assortment of a wide variety of art to the Casa Grande Studio Tour. Over 30 artists featuring copper, glass, hand-built pottery, gourds, jewelry, beaded works, glass mosaics, paintings, mixed media, painted patio benches and furniture, mosaic top tables and desert art will be on hand. Locations will be as follows: The Casa Grande Art Museum at 319 West 3rd right off of Florence; Romelda and Don Meyers at 1826 Ridgemont Place and Mark Whites Studio at 816 E Shadow Ridge both in the Shadow Ridge subdivision off of Trekell north of Safeway and Cindy; and Larry Pattersons at 221 E Granite Trail off of Rodeo Road and N Coyote Pass Road. This event is held each year in November and March. It is a great way to see a wide array of art in a format that makes it fun to explore our area. You are sure to find treasures, gift items and meet artists who craft beautiful art that is both functional and decorative. Robson residents Charlene Rule, Barb Beavers, Shari Hunt, Kathy Foran and Carolyn Burtch will be among the featured artists. Watch for brochures and a map at the sports desk.